I’ve been putting off writing this review for ages, because I can’t think of the best way to describe Kevin Kwan’s debut bestseller, Crazy Rich Asians. There’s been a ton of hype around this book since it was released in 2013, and it’s already been adapted into a film starring Constance Wu and Henry Golding. So what can I say that hasn’t been said by a thousand readers and reviewers before me? Not much really. But I can say it again, and in slightly different words. What fun! Speaking of fun, Crazy Rich Asians was a runaway bestseller for a reason; it’s pure unadulterated escapist fun. Instead of trying to avoid all of the cliches associated with the “chick-lit”* genre, it revels in them. At one point, a character literally pulls out an unlimited AmEx card and utters the words, “This is a fashion emergency!” (or some paraphrase thereof). Crazy Rich Asians is shamelessly capitalist, and I spent the entire novel in a weird swirl of awe and envy that was nonetheless highly enjoyable. The name-dropping and label-obsession went completely over my head most of the time, but it was certainly an education For example, I had no idea that “Hermes-orange” was its own color. The thing that really sets this book apart from the myriads of forgettable chick-lit is that it is also opened my eyes to a culture I previously didn’t know much about and will, in all likelihood, never experience. I imagine this novel will do wonders for the Singaporean tourist industry, already a huge part of their economy. Personally, the numerous descriptions of delicious Hokkien street food were enough to have me poking into flights. The central plot of Crazy Rich Asians is breathless, exciting, silly, and self-indulgent. The central character, Rachel Wu, isn’t terribly interesting at all and serves mainly as our introduction to this world of extravagant wealth. The bustling, busying, nosying, prying members of the Young family are the highlight of the book, and rarely have I enjoyed soap-opera-esque plot developments so much. I loved spending time in Kevin Kwan’s world of extreme opulence and backstabbing family members. I also feel like I learned a lot about a culture completely different from my own, which is always a good time. 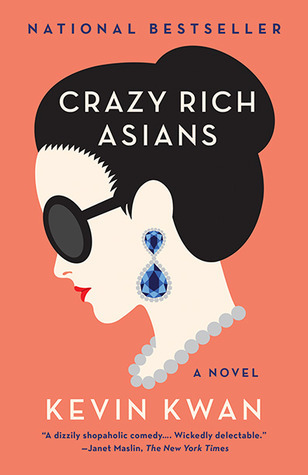 You can find Crazy Rich Asians here on Amazon or here on Book Depository. ** Personally, I find this term odious but it is a highly-effective description of the genre. Last year I read Frans de Waal’s The Bonobo and the Atheist, which asked whether or not animals are capable of demonstrating selflessness and empathy towards themselves and towards us. I wasn’t a huge fan of that book, partially because anyone who has spent even a small amount of time observing the animal world will tell you that the answer is a resounding “Duh”. I was unaware at the time that there is a surprising amount of resistance to the idea of altruism in the animal kingdom. For decades the idea of true animal awareness was laughed out of universities and scientific journals. Man, it seems, needs to maintain a moral superiority over morality itself. In Are We Smart Enough to Know How Smart Animals Are?, de Waal begins by lambasting his fellow scientists in a highly informative and highly enjoyable tirade against modern testing methods. He lists study after study designed to test the difference in cognitive abilities between toddlers and apes that failed, not due a fault of intelligence on behalf of the ape, but by unfair testing standards. For example, toddlers were tested while sitting on their mothers lap in a warm and comfortable environment, with scientists there to reassure them. The apes were alone in a steel cage, with no explanation of the test or comfort from the testers. Until recent years it was considered unprofessional even to give personal names to the “test subjects”. De Waal is a passionate advocate for animal rights. 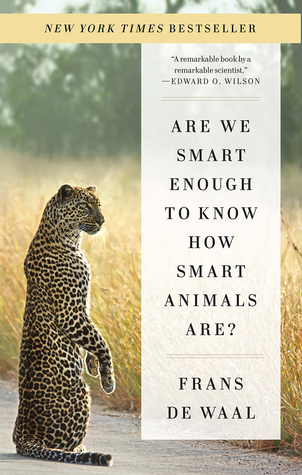 After thoroughly beating his colleagues about the head in the first part of Are We Smart Enough to Know How Smart Animals Are?, he then begins giving case study after case study of animals that not only rivaled our own intelligence, but often surpassed it. My favorite thing about this book is that it is not ape-centric. We have long ago learned to recognize a thinking mind behind the eyes of a chimpanzee, an orangutan, or a gorilla. But what about a crow? Any pet owner will gush about how smart their dog is, but is can their intelligence be measured using any kind of objective scale that we understand? Cats, elephants, dolphins, and monkeys all get their place in this book, as well as less “traditionally” intelligent animal such as cuttlefish. I loved the section on the octopus, which is my favorite animal to show off to my science students. in The Bonobo and the Atheist, I felt that de Waal struggled to stay on topic. He would give a few interesting anecdotes about the animal world, and then pause for a discussion on medieval art, or the rise of atheism. Are We Smart Enough to Know How Smart Animals Are? is more tightly edited, and jumps merrily from subject to subject while maintaining the central theme that animals are capable of more than we ever thought possible. I love animals. I love learning interesting things about animals. If you love learning interesting things about animals, you will enjoy this book. You can find Are We Smart Enough to Know How Smart Animals Are? here on Amazon or here on Book Depository. The Audible version is narrated by Sean Runnette and can be found here. Note: I highly recommend reading The Bear and the Nightingale and The Girl in the Tower before reading this review. The Winter of the Witch has all of the ingredients necessarily for a dark, mature fairy tale. There is a twisted villain, a mysterious king, an enchanted forest. There are swordfights, helpful sprites, and magic horses. Front and center of it all is the courageous heroine, Vasilisa Petrovna. Vasya is a marvel, at once vulnerable and indomitable. Her journey from a scared girl in the snow to a crusading warrior-witch has made the Winternight trilogy one of my favorite finds in recent years. Of course, all these elements would amount to nothing without the beautiful and poetic writing of Katherine Arden. She has constructed a world that feels simultaneously ancient and immediate. The best fairy tales exist in a world of misty morals, and The Winter of the Witch is no exception. No one, no matter how seemingly good or evil, is ever quite what they seem. This comes as a natural development rather than a sudden cheat, and I never felt as though Arden had sacrificed her characters for the sake of a easy ending. After the climatic events of The Girl in the Tower, Vasya has just risked everything to save Moscow from the flames. Her secrets are now exposed, and the obsessed priest Konstantin has her cornered. After suffering a devastating loss, she flees into the realm of Midnight, a land of eternal darkness. Weakened and grieving, Vasya must search the midnight lands for Morozko, the king of winter. I won’t say anything more, for fear of spoiling the surprise. I am definitely looking forward to buying the entire Winternight trilogy on hardcover once it’s released. These books swept me away. You can find The Winter of the Witch here on Amazon or here on Book Depository. Apparently I live under a rock, because I had never heard of Laurie Halse Anderon’s award winning 1999 novel, Speak. It only came to my attention when I learned that Emily Carroll had done the illustrations for the graphic novel edition of the book, which was released last year. Carroll wrote and illustrated the fantastically creepy Through the Woods, which was among the favorite books that I read last year. I immediately ordered a copy from my library and brought it home. It sat on my desk for six weeks. I could never bring myself to actually begin reading Speak. I knew it was going to be one of those books that left me feeling wrung out and exhausted, and I just couldn’t commit myself. A few days before the book had to be returned to the library, I finally decided to make myself a giant cup of hot chocolate, top it off with a dash of brandy, and curl up on my couch to finish the book. I haven’t read the original source material, but Anderson’s writing style adapts itself perfectly to the graphic novel format. Her narrative has a lyrical, almost poetic quality; it bounces from subject to subject in a continual train of thought that carries us into Melinda’s mind. The mind of the average high school girl is a swirling maze of pressure and anxiety: pressure to fit in, to get good grades, to be popular to have boys like you, pressure from parents, from peers, from boys. Melinda, who is dealing with more anxiety and pressure than any ninth grader should ever have to experience, is teetering on the knife’s edge between crippling depression and debilitating stress. Her experiences are as tragic as they are tragically ordinary, and Melinda’s journey to find her voice is a powerful one. Emily Carroll is a tremendously talented artist, and her illustrations heighten and define Melinda’s experiences in so many ways. Notice the way Melinda is nearly always depicted with her hair covering part of her face as she seeks to hide from staring eyes. Or how certain characters are drawn with horribly exaggerated features. Carroll has a tendency towards the macabre that I love, and it suits the dark material presented in Speak. I put off reading this book because I thought it was going to leave me feeling bitter and upset. Instead, I found Speak to be empowering. As Melinda journeys out of the darkness and finds her voice, there were a series of small victories. A new friend. A helping hand. A sympathetic teacher. Small reminders that a person is never really alone. I’ll take this as a reminder that the most difficult stories to read are often the most important to tell. 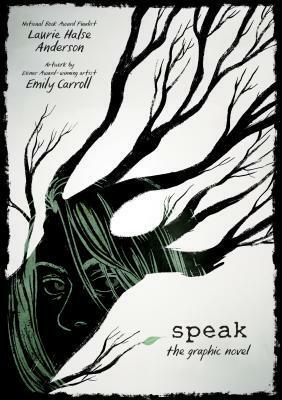 You can find Speak: The Graphic Novel here on Amazon or here on Book Depository. Only someone who has played as part of a sports team can describe the seemingly psychic connection that exists between well-trained players working towards a common goal. A good coach can pull astounding results out of a talented player, but not without pain and sacrifice both mental and physical. Complete and total devotion is required if the unit as a whole is to succeed. The character traits born by playing sports: loyalty, determination, selflessness, and stamina can serve children well into adulthood. But there is a darker side to those sterling qualities: arrogance, recklessness, and a disregard for authority also breed when star players are told from a very early age that they are perfect and invincible. Beartown tells the story of one youth ice hockey team as they prepare for the semi-final championship and bear the entire weight of a community on their shoulders. Beartown is a novel about the power of competitive sports to bring people together and to tear people apart. The introspective, omniscient language used by Fredrik Backman (translated here from Swedish by Neil Smith) is simultaneously haunting and joyful. We delight in the vitality and joy that the boys of the Beartown junior league find out on the ice, while never forgetting that those shining moments are few and fleeting. Backman manages to capture the almost addictive hold that these sports have, both on the players and the people in the community who place all their hopes on the slim shoulders of seventeen-year old boys. The pressure that these students are under would buckle the knees of most adult men, and game-day nears, the cracks begin to show. Halfway into Beartown came an event that I definitely did not expect, but in retrospect I should have seen it coming a mile away. Another side effect of sports culture is the attitude instilled in the members of a winning team that they are entitled to whatever rewards they desire and that “winning” is something that must be obtained at all costs. 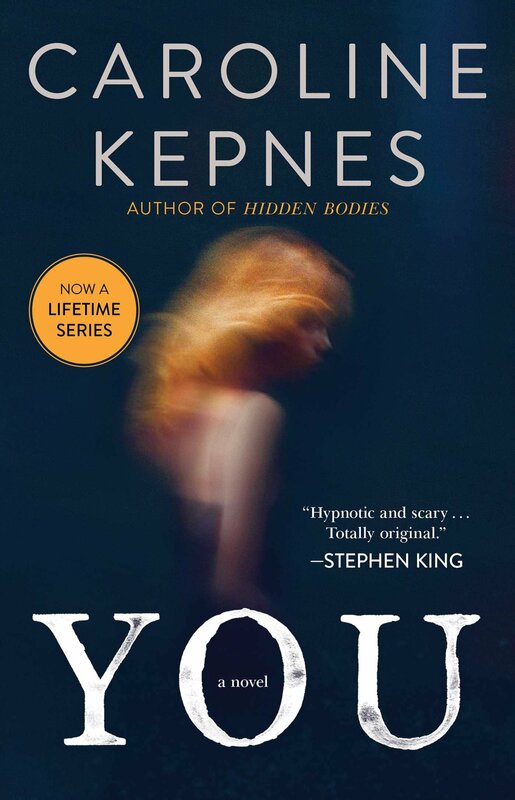 This event sets off a series of repercussions that wind through the remaining half of the novel until building into a tight, page-turning conclusion that had me glued to the screen of my Kobo. I loved that this was a novel about sports culture that didn’t require me to know or care anything about ice hockey going in. It’s a novel about sports that will appeal to people who don’t like sports very much. And people who love the game. Probably because Beartown isn’t about ice hockey. It’s about teamwork. Friendship. Sacrifice. Loyalty. Honesty. Bravery. And a little bit ice hockey. You can find Beartown here on Amazon or here on Book Depository. The story of Christopher McCandless has become something of an urban legend crossed with a cautionary tale. I’m sure parents have warned their children that if they aren’t careful they’ll end up “dying in a bus somewhere in Alaska”. When I mentioned to my husband that I was reading this book, he scoffed and muttered something about idiot kids and white privilege. For some, McCandless is a cultural admonition about the foolishness of youth. For others, he is a symbol of wanderlust, that powerful urge to explore the wild places of the world and reconnect with nature that exists somewhere within all men. It’s easy to write McCandless off as just a spoiled boy from an affluent background who got what he deserved when he walked into the Alaskan wilderness with no supplies. It’s easy to say that he was mentally ill, or suicidal, or just plain crazy. What Krakauer has done with Into the Wild is to tell the harder story, one of a charismatic and talented young man whose obsessive desire to connect with nature ended up costing his life. Last year I read Krakauer’s Under the Banner of Heaven, which chronicles the violent history of the Mormon faith and how it led to the death of an innocent woman and child. Krakauer has the remarkable ability to write nonfiction as if it were fiction. He weaves his plot and characters together with meticulous attention to detail and exhaustive research. 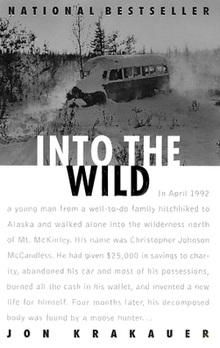 Reading Into the Wild, it is obvious that Krakauer was profoundly moved by the death of McCandless. The book represents an homage of sorts, a chance to tell Christopher’s story in a way that makes him look brave but naive instead of just incredibly stupid. Krakauer brings a sense of tragic nobility to Christopher’s life and death while trying to explain what drove him to venture alone into the wilderness. He looks at journals, interviews friends and family members, and ultimately journeys to the hollowed out bus where McCandless’ body was found. I am writing this review more than five days after finishing it, and I can’t get Christopher McCandless out of my head. At random times of the day, when I’m washing dishes or marking homework, the image of a lonely boy dying in a lonely bus in a cold, lonely forest comes into my mind. I had before heard the story of the idiot kid who died in the wilds of Alaska. Now I feel like I actually know the story of McCandless’ life. This book was amazing. You can find Into the Wild here on Amazon or here on Book Depository. In 2007 it was adapted into a film starring Emile Hirsch and directed by Sean Penn. Depression is such a tricky subject to write about. It’s so mercurial in nature, so difficult to define and diagnose and treat. The Astonishing Color of After triumphs as a portrayal of depression from all perspectives. The repercussions of Leigh’s mother’s suicide reverberate down the plotline when Leigh becomes convinced that her mother has transformed into a bird. Fearing for her mental state, Leigh’s father sends her to Taiwan to visit her grandparents for the first time. Once there, Leigh begins the long, slow process of healing. The Astonishing Color of After blew me away with its depiction of depression and the effect it can have on a family. Instead of focusing on Leigh’s mother as she battles her inner demons, the perspective is Leigh’s, which helps to convey the constant stress and strain that mental illness places on family members. Humans can adapt to almost anything, and it’s sad that the warning symptoms of suicide can be overlooked because we see a person as always being “up and down” or just “having a rough patch”. For Leigh, her mother’s depression was just another part of life until it wasn’t. Leigh’s adventures in China add a welcome lighter tone to the story. All the descriptions of the Mandarin language and culture and food made me miss my days spent living there. One scene set in an outdoor night market was particularly vivid, I could almost taste the stuffed bao buns and room temperature beer. For Leigh, the trip to Taiwan offers a chance to grieve her mother while learning more about her childhood and the circumstances that drove her to cut off all contact with her family. 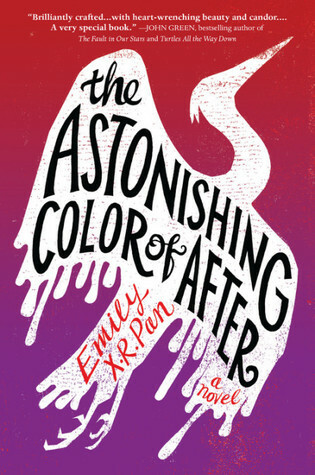 The Astonishing Color of After evoked a stronger emotional reaction than I had anticipated. The combination of magic realism with the themes of loss and grief was a heady mix, and I found myself ugly crying towards the end. But it was a cathartic, healing kind of cry. The kind you didn’t know you needed until it’s over. You can find The Astonishing Color of After here on Amazon or here on Book Depository. This novel by debut author Angie Thomas packs an emotional punch. The American epidemic of unarmed black men being shot by law enforcement is an incredible divisive issue, and Thomas embraces the many factions and facets of the situation. She asks her readers to privately consult their own inner bias and determine for themselves the best possible outcome when there is little chance for a happy ending. Starr Carter is not your average girl from the “ghetto”. The first thing that sets her apart is her strong family bonds. Starr is lucky enough to have a male role model in her life; her father is a proud black man who firmly believes that the only way to save his community from gangs and drugs is if people stick around and work together. Thomas does not play down the fact that Starr lives in a dangerous neighborhood; she lost her best friend in a drive-by shooting at age nine. Now sixteen, she is tired of hearing gun shots every night. But there is also a life and a spirit to Starr’s community, people help one another and give what they can to those who are less fortunate. This isn’t some Mad Max style wasteland ruled by constant warfare. The people of Garden Heights have known a lot of hard times, but they stick together and try to make the best with what they have. Too often the ghetto is depicted as a gray and crumbling area where everyone has ties to criminal activity. Thomas instead shows a more human side to the wrong side of the tracks. “I’ve seen it happen over and over again: a black person gets killed just for being black, and all hell breaks loose. I’ve Tweeted RIP hashtags, reblogged pictures on Tumblr, and signed every petition out there. I always said that if I saw it happen to somebody, I would have the loudest voice, making sure the world knew what went down. Another thing that makes Starr unique among her peers is that her parents send her to an expensive private school where she is one of the only students of color. Some of the most interesting aspects of The Hate U Give is when Starr describes her own split personalities. There is “Ghetto Starr” who uses slang and knows how to survive on the tough streets of Garden Heights. Then there is “Williamson Starr”, a girl who makes sure never to use slang, has a white boyfriend and all white friends, and listens to Taylor Swift. Starr is walking a constant tight-rope trying to be black enough for her black friends but not too black for her white friends. The Hate U Give takes a lot of the important points of the police brutality issue and runs at them headlong. This novel has the potential to make a lot of people uncomfortable, but it is the kind of discomfort that leads to personal growth. And while it did get a little overtly preachy towards the end, I would definitely recommend this book. Perhaps it would help in opening up a dialogue between the opposing forces on this tragic issue. You can find The Hate U Give here on Amazon or here on Book Depository. Kate Morton has been on my shortlist of favorite authors since I first discovered The Forgotten Garden way back in 2011. All of her novels merge historical fiction with mystery, often spanning decades and generations. 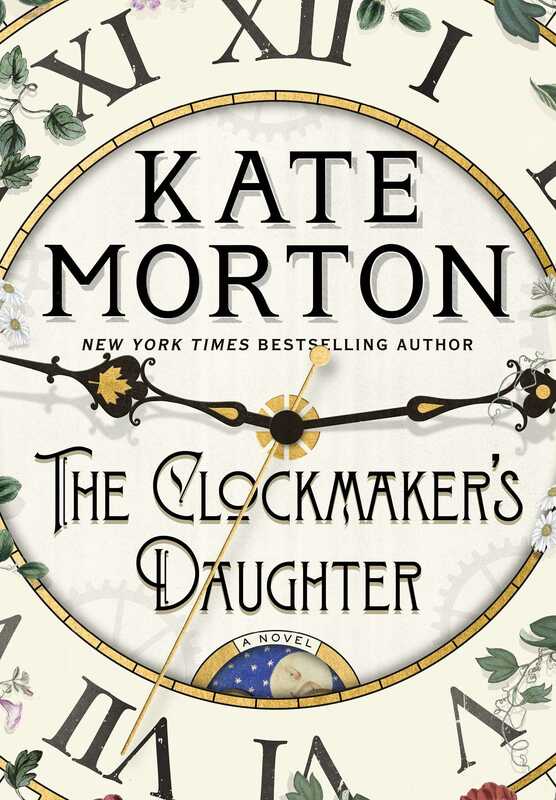 Morton stays true to form with her latest novel, The Clockmaker’s Daughter, and manages to throw in a few surprises along the way. Morton loves writing about crumbling English manor homes and her settings often serve as characters unto themselves. The majority of The Clockmaker’s Daughter takes place in isolated and empty Birchwood Manor, but far from the gloomy, neglected halls that characterized Morton’s The Distant Hours, Birchwood is haunted by a ghost of a different sort. The presence which roams the halls of Birchwood Manor is filled with curiosity and kindness for the occasional visitors that come to her home, which has been turned into a museum and historical site. When a new visitor by the name of Elodie Winslow turns up looking for answers that lead back to a long ago summer when a group of artists descended upon the manor, the spirit of Birchwood Manor realizes that secrets are about to be uncovered that have been buried for centuries. The wonderful thing about Kate Morton’s writing is that it flows so smoothly from time period to time period. The bulk of the narrative follows a group of young artists who venture into the country for a summer of nature and inspiration. The technological and social changes that embody Victorian England are present here; it was interesting to read about the introduction of photography, which would bring about major changes to the art world as the popularity of portraiture faded. The rest of the novel is set in the present day. It is partly narrated by Elodie, a young archivist who stumbles upon a sketchbook that has been hidden away for decades. The spirit of Birchwood Manor has its own voice as well, detailing the events that have occurred in the house in the long years since its arrival. This is the first novel by Morton to contain a solid supernatural element. There were whispers of fairies and magic in some of her previous works, but the ghost in The Clockmaker’s Daughter is a defined presence with real wishes and desires. If I had a critique of this novel, it would be the title. While one of the main characters is the daughter of a clockmaker, that fact has no real bearing on the overall storyline. Too many novels are “The _____’s Daughter” or “The _____’s Wife”. It is often is used in fiction to give a different perspective on historical events; however, it is unnecessary in this case. Instead it serves to undermine a strong female character by forcing her to be named only under the title of a male who is not even terribly relevant to the plot. It just felt lazy. Overall, this was another highly enjoyable novel by a woman who remains at the top of my list for favorite authors. My only disappointment is that I have to settle in for a long wait until her next novel. You can find The Clockmaker’s Daughter here on Amazon or here on Book Depository.